I regularly see clients at my practise in Sydney seeking help with chronic anxiety symptoms. 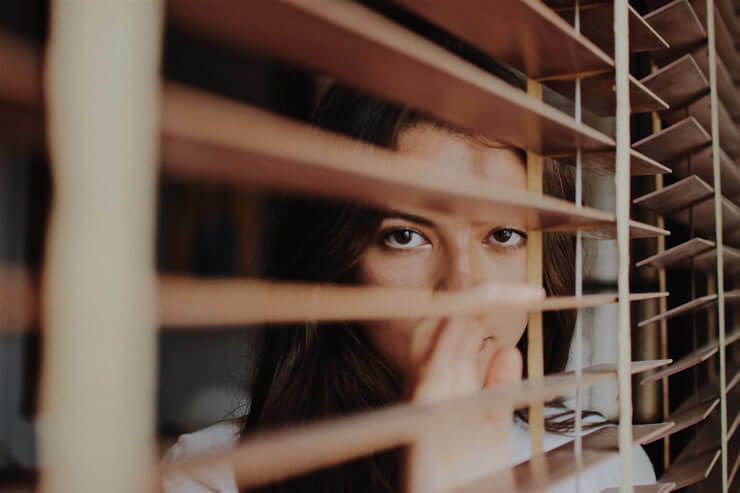 Whilst occasional worry and situational anxiety is a normal human experience, chronic anxiety can be debilitating as it becomes distressing and uncontrollable. Emotionally it can be incredibly draining, as if you are constantly on guard and fearful of something completely random and ‘normal,’ with a desire to numb yourself in whatever way possible as a means to relax, feel safe and get through the day (or the night). You may dread socialising due to the chance of an embarrassing or stressful interactions with others…I have been here and used to feel guilty and ashamed of my thoughts and behaviours, not realising that there may in fact be organic underlying reasons as to why I was feeling so anxious. It is such a relief and incredibly empowering when you can find out what specifically may be causing anxiety in you. The brain is highly susceptible to a variety of toxic metals, and due to its high fat content it can store toxic metals over long periods of time, causing neurotoxicity. I observe high levels of copper in many of my clients, which can be a huge driver of anxiety and ‘adrenal fatigue’ (HPA Axis dysfunction). For this reason I routinely order Hair Tissue Mineral Analysis (HTMA) to assess levels of heavy metals stored in the body, as well as a blood test for zinc, copper & caeruloplasmin (a ‘transport’ protein), so that we can uncover if heavy metals are an issue. If they are, we are able to fine tune treatments to safely get these levels down. EPA/DHA (Omega-3) Fats are crucial for the healthy functioning of our central nervous system and deficiency can result in low mood, neuro-inflammation (and systemic inflammation), and cognitive decline. Download & Refer to my free E-Book The Mind-Body Blueprint for a more detailed run-down on how and where to obtain EPA/DHA to reduce inflammation, and other dietary tips. When you are feeling extremely anxious or having panic attack, you are constantly sending a signal to your brain that you are under threat (even if it is only imagined). The brain responds by flooding the body with stress hormones so that you can flee from danger. After hours, days, months and even years of this stress response being over-activated, this system becomes dysregulated and results in feeling ‘wired and tired’ (anxious yet fatigued), sleep disturbance and insomnia, erratic energy peaks and slumps (e.g. mid-afternoon crash with a surge of energy late at night time! ), appetite suppression and digestive symptoms. Restoring the HPA Axis is targeted with a combination of adaptogenic and adrenal tonic herbal medicines (e.g. Withania somnifera, Rhodiola rosea, Rehmannia glutinosa), nutrients (e.g. Vitamin C, B-Complex Vitamins, Zinc) & effective stress reduction techniques such as a breathwork practise or meditation. For clients who have not responded at all to previous foundational treatments, a salivary cortisol test is useful for evaluating levels of the stress hormones and how they are fluctuating, so that treatment can be more specific. “Fire in the gut – fire in the brain,” i.e. if you have inflammation, parasites, small intestinal bacterial overgrowth (SIBO), fungal overgrowth, stealth infections (e.g. Lymes disease) or dysbiosis in the gut, then that is going to produce an inflammatory response that affects the brain and can cause inflammation. This is another example similar to not addressing heavy metals – you can take supplements for digestive system relief, but if you don’t address what’s causing it, they will continue to surface. The fact that there is 400x more serotonin produced in the gut than in the brain and that researchers now talk about our gut being the ‘second brain,’ is just scratching the surface of why it’s important to address our gut microbiome health. even if we don’t have ‘typical’ symptoms such as cramping, bloating, alternating bowels and indigestion, there may be some level of gut flora imbalance causing psychological symptoms. The gut is an organ that is a branch of our nervous system – think of it as a large bag of giant muscle, a big bundle of nerves that responds to our nervous system activity. The gut, our nervous system and the stress response are intricately linked, and we now know that anxiety and the stress response disrupts our gut microflora and gut-wall integrity. I unfortunately meet many clients who have never experienced anxiety until they have had a course of strong antibiotics, due to their effect on our gut microbiome. Antibiotics can be the underlying cause of a lifetime of physical and psychological problems. If this sounds like you, focusing on restoring your gut microbiome would be a key treatment strategy. Anxiety is experienced by everyone differently. It is not the same for everyone. Treatment must be holistic if we are to truly uncover the root cause. The conventional medical approach to understanding anxiety is that it’s caused by an imbalance of neurotransmitters in the brain (due to an ‘unknown’ cause), which are then treated with medications that increase the availability of these neurotransmitters in the brain. The issue with this approach is that, while it may appear offer effective symptom relief in the short-term and extremely necessary for a small group of people, they are not meant to be long-term prescriptions. They should be used if necessary, whilst trying to uncover the underlying causes. It is a very reductionist approach to just hand someone a medication without any further investigation other than a short conversation. It’s like having a rock in your shoe that’s causing inflammation and pain, so you take panadol for pain relief, but haven’t addressed the rock in your shoe. As a functional naturopathic practitioner I am interested in addressing the rock in your shoe and getting it out, so you don’t have to take unnecessary medications. Whilst brain chemistry is important, these are so many other factors to consider – as I have already mentioned we must consider heavy metals, nutrient deficiencies, HPA axis dysfunction and gut health. I am also interested in your environment, work/life balance, stress tolerance, emotional and/or spiritual health, and past traumas or significant events. All of these things are involved with having anxiety. Sometimes we just need to be heard in a safe space so we can explore and process our emotions without judgement. This is why I don’t look at anxiety as a ‘problem’ or a ‘condition’ – it is a signal from the body that something is wrong. The body is incredibly smart. We shouldn’t be trying to ‘suppress’ anxiety to deal with it, we should be asking why it is there. Anxiety is part of our primitive, emotional brain that protects us from danger. By taking a holistic and functional approach to anxiety, we can find out what is causing it. Being heard, and allowing our past wounds, stresses and traumas to surface is just as important as investigating the potential physical drivers. It goes both ways. If we can consider everything together and customise treatment plans to the individual, you can say goodbye to chronic anxiety. Please download my free E-Book The Mind-Body Blueprint which goes into much more extensive detail about the foundations of mental health, and feel free to get in touch if you would like to dig a bit deeper and work together to achieve optimal health. Naturopathic medicine can do marvellous things for mental health & wellbeing. Training Your Brain For Gut Health – Is The Vagus Nerve The Missing Link... The Secret To Treating Blastocystis Hominis: Don’t Treat It.